Some major companies offer life and disability insurance for an additional cost or sometimes for free. If you have a family, taking advantage of your company’s life insurance benefit may be a cost-effective way of beefing-up your life insurance. If you are the primary breadwinner in the family or your income plays an important part in your family’s monthly living budget, it is important to have the appropriate amount of insurance to hedge against any catastrophes that would affect your ability to earn income. Depending on your situation, purchasing the coverage you need to protect your family may be too expensive. Compare the rates and coverage offered by your employer and your outside insurance company. Do not assume your company’s insurance policy is cheaper. But if the company insurance program is less expensive, you may be able to save money by combining both your company’s and your outside insurance company’s insurance policies together to get the appropriate coverage you need. Since your employer’s insurance is usually only supplemental coverage (extra coverage) you will need to find out the maximum amount you can obtain from your company and subtract that amount out of the total coverage you need. The remaining coverage should be obtained through your outside insurance company. Paying for a portion of your insurance needs with your company sponsored insurance program is a good way to save money through your employee benefits. Is your advertising campaign suffering from the “me too” syndrome. When spending your hard-earned money on advertising, make sure that you are highlighting what makes you different or unique. Don’t get caught up in the “me too” game. Anyone can copy the competition but finding customers is all about being different in some unique way. Study what your competition is doing and see if you can create an image that separates you from your competitors in your customer’s eyes. Many times when a company has established a stronghold in a marketplace, the competition starts to copy the same type of advertising campaign. The challenge with this type of “copy” advertising is that your dollars just go to helping the other guy’s marketing program. If the competition has a major jump on you in their advertising program where they are outspending you and were faster to the market on the advertising concept, your hard earned dollars will only serve to expand the public’s awareness of the competition’s brand. The public will think of your competition who was first and who has already occupied the public’s mind. Remember being first or unique in the public’s mind is one of the key concepts to developing strong brand recognition. If you can’t be first, then be different or unique. Originality can be the key to gaining the public’s recognition. Can you separate yourself from the competition in your advertising or in your service by creating an original and unique promotion? Survey the competition in your locale and outside of your area to create some ideas. Borrow and improve upon advertising concepts from companies not in your same type of business. When you see an advertising program you find interesting or you think effective, keep it in mind for your business for some time in the future. After finding what makes you stand out from your competition, use that key difference or uniqueness to build your branding platform around. Create, if you can, or hire out a company to develop your strategy and promote, promote, promote. Don’t throw away your hard earned dollars on “copy cat” “me too” advertising. Part of being a successful business owner is surrounding yourself with talented people. However, finding these “nuggets” from the masses of people requires some skill in interviewing. By asking the right questions during the interview process, you will be able to determine the make up of each candidate and whether they will be the “right” one for your organization. It’s your business and if you are going to be hiring someone to be part of your team, you want the new hire not to be just a new face, but a team member whose contributions will raise the overall effectiveness of your organization. The job description needs to be accurate and detailed. You certainly don’t want to hire someone who doesn’t like customer service and the position requires that they have to handle customer complaints every other day. Jot down the most important areas of the position along with the mundane areas of the job. Remember as a business owner, you probably always just do what it takes because you don’t have a choice about whether you would enjoy it or not. Employees have choices and will leave if they are thrust into a job situation they are not equipped to handle or they can’t stand to do. The next step in the process is to write down what skills and personality traits you think the candidate will need to be able to become a valuable asset to your company. If the job requires the ability to know different accounting software or knowledge of spreadsheets, program telephone systems, knowledge of graphics software, etc…write this all down and rank them from most important to the least important. If the work you perform for your clients is time intensive and requires someone capable of handling a high stress environment, you will want to find out if the candidate can perform well under these conditions. If you are team oriented and foster a creative environment where everyone pitches in ideas and also tosses in constructive criticism, your new hire may need to be able to roll with the punches. If the position requires the new hire to handle many different details for multiple projects, the ability to multi-task and be organized are traits that you would probably require. List under each skill or personality trait the questions that will best draw out the answers you need to hear to determine the potential level of performance for each candidate. The key is to try to learn as much about the candidate as possible before they take the position and you find out that they are not right and have to go through the ugly process of replacing them. Your questions should lead the applicants to give you descriptive answers about themselves, past work experiences and their thought processes. Formulate your questions so that a yes or no answer can’t be used. If you make the mistake of asking a yes or no question and you get a single word answer from the applicant, you can always ask, “Can you give me an example?” Here is a scenario for clarification: You ask, “Have you handled customer complaint in your last position?” The applicant answers, “Yes.” You don’t have any idea of how they handle customers. Since you have determined that the position may require the candidate to interact with upset or unhappy customers, you may ask a question such as, “Can you give me an example of what steps you took to calm down an unhappy or upset customer and how you resolved the problem?” This type of question requires the candidate to expose their thought processes to you. If your company will require the new hire to work in a team environment, you may want to ask something like: “Tell me about a past situation where you needed to interact with other team members. What did you do to contribute to the success of the project?” Again, the question is designed to give you some insight to the core of the applicant’s personality and thinking. Always have a number of smaller follow up questions to try to draw out the candidate even more. Some examples might be: “How did you feel about that?” “What did you learn from this experience?”, “What could you have improved upon for the next time?”, etc. Interviewing to find the right person is not an easy task to do, however by using the right questions, you will be able to better determine the best possible candidate for the job. 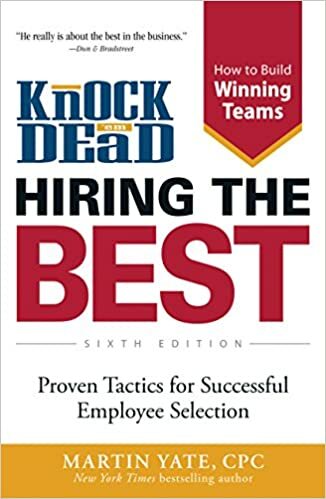 Check the book “Knock ‘EM Dead – Hiring The Best”. This book by Martin Yate was written to help businesses interview job seeking candidates better. It lists many difficult and probing questions that candidates may face while being interviewed. Check it for ideas to format your interviews. Here is the good news and the bad news of business ownership. The good news is “It’s your business and you’re the visionary”. The bad news is “It’s your business and you’re the visionary”. This means that the direction and the push for success must come directly from you. In this article, I am going to highlight the four D’s of the successful visionary. Let’s look at each of these. This one word is probably the key ingredient for success for anyone in her own business. It is the foundation that the other three “D” words spring from. Desire has many definitions and means a different thing to everyone but the common thread among business owners was the desire, a “deep rooted” reason, to become self-employed. Desire is your vision of what you want to achieve or become. Some people call it a dream, a goal, a want, a need, a must have, etc. I will call it “your lifeblood”, because without it your business will certainly die. Your desire creates the “laser beam focus” that keeps you on track when you have doubts about your business or yourself. When you are in business for yourself, you must be dedicated to your business. Dedication to your vision makes decision making easier. When faced with deciding “Should I do X or should I do Y?”, the answer lies in whether X or Y will bring you closer to your business goals. Many times in life we are faced with decisions that appear to be equal in effect, but when you are dedicated to a specific thing, you will see the scale will tip towards the vision. Without dedication to your vision, indecisiveness, doubt and fear can creep into your thought process creating confusion when making decisions. Single-minded thinking is the core of dedication and all “the noise” will be filtered out when you are dedicated to your vision. Owning your own business can make you the envy of all your friends. Many of them have to put up with the “Boss from @#&%”, you don’t have anyone to report to and no one keeps a watch over you. This situation is the true test of a successful visionary. When no one is there to make you do the work or you don’t feel motivated, can you push yourself to perform? Lack of discipline can be the single greatest threat to slowing or eventually stopping the growth of a business. If you lack discipline, guaranteed procrastination, laziness and apathy will result. Discipline means keeping an action list and reviewing the things you need to do on a regular basis and doing them. When you are thinking of not doing something for your business or you want to play when you know you shouldn’t, remind yourself of your vision and remember that “It’s your business” and you will ultimately receive all the benefits of a successful business if you stay the course. Everyday, we face challenges and obstacles in our life. Why should it be any different if we are in our own business? It’s not. In fact, when you own your own business, challenges become magnified because the “buck stops with you”. You must be determined to overcome every problem and obstacle thrown in your way. If you roll over and quit easily, self-employment is not for you. The successful visionary anticipates that she will run into challenges and meets them head-on. Determination is the thought process of not giving up and believing that when the tunnel looks the darkest that the light is just around the bend…and it’s not a train. Being determined will allow you to throw off the set backs you surely will encounter and move on without dwelling on the negative. If you follow the four D’s: Desire, Dedication, Discipline, Determination, having you own successful business is a Done Deal! Before starting any endeavor it is crucial that you understand exactly what it is you hope to achieve. How can you go from point “A” to point “B” or where you are today to where you want to be if you REALLY don’t know where you want to be? It sounds almost silly — of course I know where I want to go! But thinking things like: “I want to have my own successful business or I just want to be rich ” will get you no where fast. You can not prepare a clear concise plan of action without first defining your goals in detail. Spend time writing out your goals with definite dates and numbers. For example: In six months I want to have two customers and my web site online. 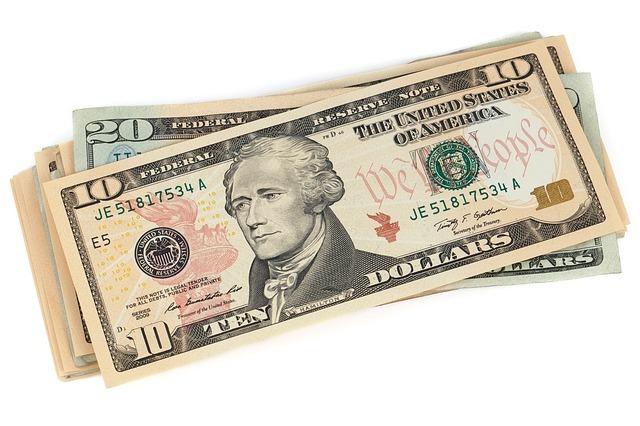 At my one-year anniversary I want to have 20 customers and generating a $1,500 monthly profit. Five years from now, I want to have 1,000 customers, my own business location and making $8,000 a month. 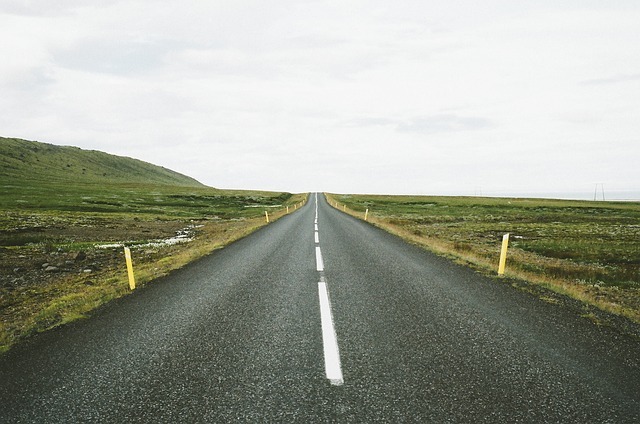 Now you can use these short-, mid- and long-term goals to prepare a solid business plan. These established guidelines become the foundation to your business and like a house the more solid the foundation, the sturdier the house and the longer it will last. Will You Keep Working Your Job While You Start Your Own Business? This is a tough question to answer. Working a job while starting a new business is very hard to do. But sometimes you need to keep working for financial reasons or even when you don’t need the money, you need the job as a “security blanket” until you gain the confidence to be off on your own. Carefully evaluate how keeping your current job will affect your business. Will you lose customers because you are not available during business hours? Will you have enough time and also energy at the end of a long workday to pursue your business? If you decide to keep working, remember to preset monetary and/or time guidelines for quitting your job. This way you don’t quit prematurely and run out of money or stay at you job too long and potentially slowdown the growth of your own business. How Will the Business Affect Your Family? If you don’t have your family’s support, you might as well forget about starting your own business. We only have so many hours in a day and whenever you start anything new it takes time away from your current commitments – family, social and career. This is where you must be brutally honest with yourself and your family. First tell them why you want to have your own business, emphasizing the positive aspects, lay out a schedule of your proposed work hours and identify business commitments such as out of town meetings with potential clients. Discuss the foreseeable affects on your family and be open to discussing each person’s concerns. Be willing to work out compromises. It is especially important to have your mate’s support because they can “pick up the slack” and fill in during your absence. In order to keep peace within the “ranks”, schedule follow-up meetings with your family, especially as your business grows, to make sure everything is working out as planned. Be open-minded and flexible, but remember this is YOUR business and you are entitled to your own success. Even though, at times it may be rough on the family, the personal satisfaction you gain from having your own successful business will also reflect on your family – giving your children the confidence to go out and pursue their own dreams and goals. Starting your own business will surely have its ups and downs, but if you know where you’re going and your family is behind you all the way, success is only a matter of time. Congratulations! You finally took the plunge and started your own business. All of the sudden sayings like: “The buck stops here” and “This is where the rubber meets the road” have new meaning. Being your own boss has tremendous benefits, but also has its frustrations. However, if you organize your business right from the start, you can avoid getting bogged down in small details and focus on making money. Any way you slice it or dice it, business boils down to the exchange of products or services. A product or service is sold to a client or customer in return for cash thus generating revenues for a company. The more revenues you produce, the more profitable you become. Therefore, the life blood of your company is your clients or customers. If your customers like your product and service they will keep coming back, but if they don’t – “adios”. It may come as a surprise to you, but the price of a product is not the most important factor taken into consideration by your customer whenever they decide where to purchase their products – as evidenced by successful companies like Nordstrom. How you service them will be the key to your success. Ask yourself these questions: Are your customers getting their products timely? Are their orders properly filled? Is it convenient to order products? Are their concerns and questions addressed timely? Do you make your customers feel important whenever they call or place an order? This is extremely important because “People don’t care how much you know until they know how much you care”. Organize your client list so that all their key information such as contact name, address, products ordered, etc., are available at your fingertips. Use programs like Microsoft Outlook to set up complete client rosters that you can pull up quickly whenever a client calls. Take the time to enter in all pertinent data including birthdays, spouses and children names, if available (Hint – your clients will remember you better if you add personal touches like sending birthday/anniversary cards). Log in by date important correspondence such as your client’s specific product or service concerns and pricing changes. Microsoft Outlook has various input screens that are easy to navigate – use them to your full advantage. Also maintain a “paper” file for each client. All correspondence should be filed chronologically. Maintaining a well organized office is crucial to your success. At any given time, documents or files should be easily accessible. Use well-labeled manila folders to arrange all your important documents. If possible, original documents that are extremely important should be kept in a fire-proof file cabinet (can be bought used at much lower prices) or a safe deposit box at your bank. Very Important – Set up a dependable back-up system! Hard drives do crash and files do get destroyed. If possible maintain a back-up file off-site, just in case of a fire or theft. Unfortunately, accounting is a necessary evil. No one wants to sit around punching in journal entries. But if you don’t properly account for all your business transactions, you’ll never know whether you’re making money or losing money. Additionally, you can lose out on great tax deductions if you’re missing adequate documentation. No matter how small your business is use an accounting package such as Quicken or QuickBooks to record all your accounting transactions – trust me, your life will be much easier come tax time. Good accounting packages are simple to use, reasonably priced and will automate many accounting procedures such as reconciling bank accounts, processing billing/invoicing and preparing financial statements. If you’re planning to get a loan from a bank, you will need to prepare company financial statements – you don’t need an accountant to do it for you, the accounting software can produce nice financial statements. Additionally, using accounting packages will organize your accounting records for tax purposes such as filing tax returns and Form 1099s. If you are using an outside accountant to do your tax work for you, better organized records will reduce your accounting fees drastically. Maintain individual accounting files for accounts receivable and accounts payable. Keep all your invoices and receipts organized by year. Being a business owner requires you to wear a lot of different “hats”, but fortunately today there are many tools available to make your job easier. We at MsFiscallyFit.com will keep on the look out for the best stuff available and we would also love to hear about great tools you have found so please e-mail us at: infomaster@msfiscallyfit.com with your suggestions. I have been holed up researching different articles, videos, and scouring the web to determine the best businesses to make extra money at home, I’ve found a few great opportunities that have the potential to make enough money to kiss your job good-bye! Let’s start with one stay at home business that I know is very promising. Have you ever heard of anyone making money blogging? I know, I know it sounds more like a hobby than a legitimate business. Believe me, I was very skeptical at first and being a CPA, I’m typically very conservative and have a “give me the facts” type attitude about most things that look too good to be true. The reason I see so much potential in making money through blogging is because since the beginning of time, we have been seeking information about how to do something or another. We willingly pay for that information and advice from experts in that field. We are constantly reading articles, magazines, and books on and off the web and looking at “how to” videos on cooking, being a better parent, and time-saving tips. No longer is this sharing of advice confined to our family, girlfriends, neighbors, and our network of professionals. Because of the internet this information is now at our finger tips…actually, at a click of our finger tips. If you have more experience or knowledge in a particular area than the average Joe…or Jane, the digital world is your oyster. There are millions of eyeballs willing to pay you for that information and better yet, vendors are willing to pay you for promoting their products that are related to your area of expertise. Case in point, Ree Drummond, has created a culinary empire after blogging some of her recipes and sharing tidbits about living on a ranch. Many of you know her as the Pioneer Woman, an award-winning blogger, bestselling author and a very successful television personality with the Food Network. Although, Ree Drummond is hugely popular today, she started off like many of us just sharing with friends and family our thoughts, likes, and dislikes. The difference is that she created a community of fans and capitalized on her popularity. With the right guidance you can also take your knowledge and knack for saving money, baking, organizing your closet or anything else you are talented in and turn it into profit…just like the Pioneer Woman did. To help make starting a blog easy for you, I will be using my own money making blog as an example and will be sharing each step of the process on how I did it so you can also make extra money on your own blog. Let’s figure this out TOGETHER! We can take our hidden talents and create successful blogs. A question for you. What other money making opportunities are you interested in learning about? It seems like every new beginning comes with excitement, anticipation, and fear of the unknown. For you Moms, remember the first time you brought home your new born baby? You were so excited, but terrified of doing something wrong. Somehow we figured it out and figured it out we did! Making a career change is no different. I am about to begin a new journey; feeling some butterflies in my stomach as I close the chapter on a nine year career as a Chief Financial Officer making a strong income. Although it wasn’t my choice to cut my career short, I choose to look at this situation as a great opportunity, or a sign, to gain back control over my life. So instead of my boss benefiting from my hard efforts, dedication, and long hours, my family will! A good friend of mine said “Go where you are celebrated and not where you’re tolerated”. I should have realized years ago that my hard work was only being “tolerated” and not “celebrated”. Getting the “boot” and a polite “thank you” ended up to be the strongest sign. If you are wondering whether your contribution to the company you work for is really being appreciated like it should be, don’t wait for the axe to fall like I did. Honestly, there has not been a better time to make a change because the economy continues to improve and the digital world has opened more doors to creating income outside of a job. If you feel like a slave to your company and you want to cut those chains, why don’t you come along with me as I discover new opportunities to make money, save money, and invest money. Although it won’t happen overnight and it won’t be easy, I plan to replace my income while living the life my family and I deserve. I’m calling this new phase “My Life Reboot 2.0”. My long hours at the office left me with little or no time to find the best ways to generate income in my own business. Since leaving my job, I am now able to research money making opportunities that I knew existed. I hope you are as tired as I am of reading success stories on the Internet about some 20 year old making $100 million dollars after creating some makeup video on YouTube or featuring some recipes on their blog. Our years of life experiences and business sense can give us the edge over a 20-something year old Blogger. Let’s make some of our own success stories featuring you as the stars. Several years ago I started MsFiscallyFit.com in an effort to share good information and knowledge with other individuals also motivated to improve their situation. Although everyone wants to get ahead in life, we sometimes settle for a job we dislike. We then fall into a rut with our personal life wishing we could go on a better vacation or live in a nicer, bigger house. Often times we don’t make the leap to a better situation because we can’t risk the steady income from our job that pays the bills. However, there are ways to generate income with your computer and still keep your full time job until you earn enough to cut back on some of your hours and eventually leave your job behind. I will be exploring these opportunities and test them out to determine the pros and cons to each one. Since saving money also puts more money in your pocket, I’ll identify different ways to save money on buying goods and services you need. You’ll learn about investment ideas to maximize the return on your money. Hitting all aspects of making, saving, and investing money will help you move one step closer to your goal of living the life you deserve. I’m looking forward to researching different opportunities and sharing the results of my research with you. I’m mostly excited to hear from you all because there is definitely strength in numbers. We can do this. So come join me in becoming fiscally fit. Remember being fiscally fit doesn’t just encompass finances or money, it touches all aspects of your life and well being. A question for you. What are you willing to do differently for a better life? Please post your comments below and I will personally respond to as many as I can. Copyright text 2017 by Ms Fiscally Fit. - Thank you for visiting!